Rambo is our american breed Sheltie. 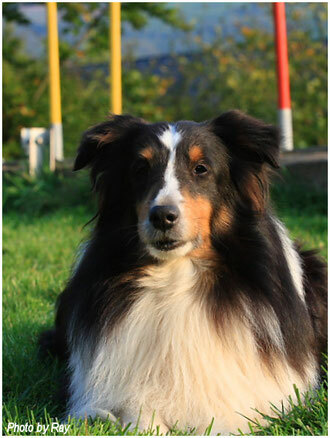 And if you look at him, you will also see that he is different to our other Shelties. But in his caracter he is the same. He loves to be with you and to please you. He had fulfilled all the qualifications to be a stud dog, but nobody was intressted to take him to breed.